what is going on with my device after the last update? I keeps telling me that there's a NEW update twice a day and keeps trying to reflash again and and again (vince)! No, I've reflashed twice. it keeps on and on trying to update to the same version. Mi6, already twice today I suddenly went offline even though the wifi sign still showed a connection. Different applications like twitter, browser or whatsapp showed a warning that a connection could not be established. Then I switched from my 2.4 ghz to my 5 ghz and everything worked again, switching back to 2.4 worked as well. It looked like an outage that could be fixed by switching network, so I am sure its not my wifi router or inet connection. Thanks for taking your time to take logs. However, unless there was some actual error that we can look for in the logs, we can't help you. We don't have a whole free month to read through whole megabytes of logs, looking for a ghost. Then disable Updater app for now. I know I always do. I have been using this ROMs for some time now and there is one addition that i would like to have, VoLTE. 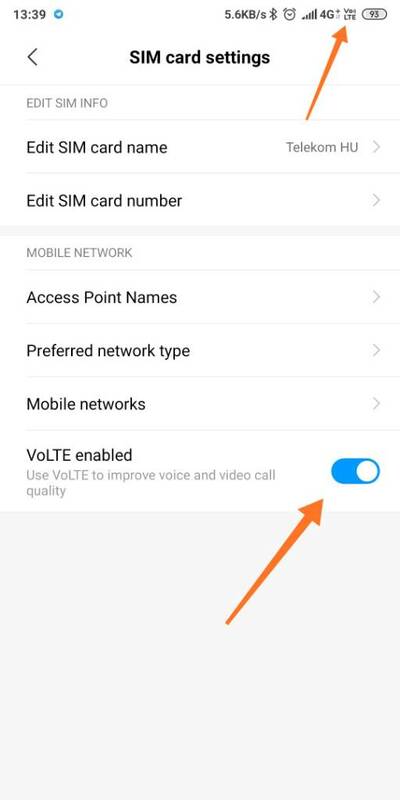 I had it on my other phones, but even if the phone is capable of VoLTE and the network carrier is also supporting VoLTE, my Mi MIX3 is saying that VoLTE is not supported by carrier. Maybe it will work in future releases. Great job until now with this ROMs. Keep up the good work. VoLTE works great on my Mix 2s. WOW, thanks.... it's working now. Why did it have to be so hidden to enable it. It's true. It happened to me too, in MI mix 2s. Besides that, we lost capacity of choosing automatically 4g or not 4g in second Sim card. It stays 4g in both Sim cards everytime, even when 4g key for the second Sim is off. I think both Sim cards should stay in LTE/UMTS prl, and 4g selection for second Sim card should work too. Amazing work team! A lot of important features unti now!!! 01-12 13:27:17.212 D/WifiStateMachine( 2023): CMD_IP_REACHABILITY_LOST Connect session is over, skip ip reachability lost indication. I am back on version 12.27 now to see if it happens there, too, just to be sure thats its not my hardware that is failing. No problem after going back to 12.27 so far. Interesting comments in there, a kernel issue might be the cause of that, but who knows? Strange thing is that I seem to be the only one reporting wifi issues with my MI6, so I'll just stick to 12.27 and will report back with 1.17 once its available. Home launcher crushing after 1st startup bug fixed??? At first many thanks for this nice and hard work to develop the rom. But at this version it does not work any more? Did anyone found a way that it works? It was nice to see the notifications under the clock. system starts normally, when you select updater app and restart in recovery mode, twrp 1227 also will start fine.